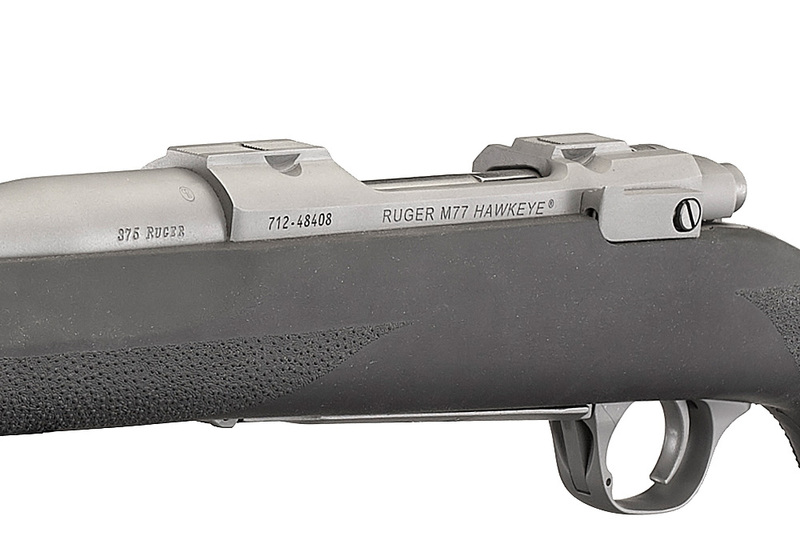 Hogue® OverMolded® stock is molded from durable synthetic rubber that provides a soft, recoil-absorbing feel without affecting accuracy. 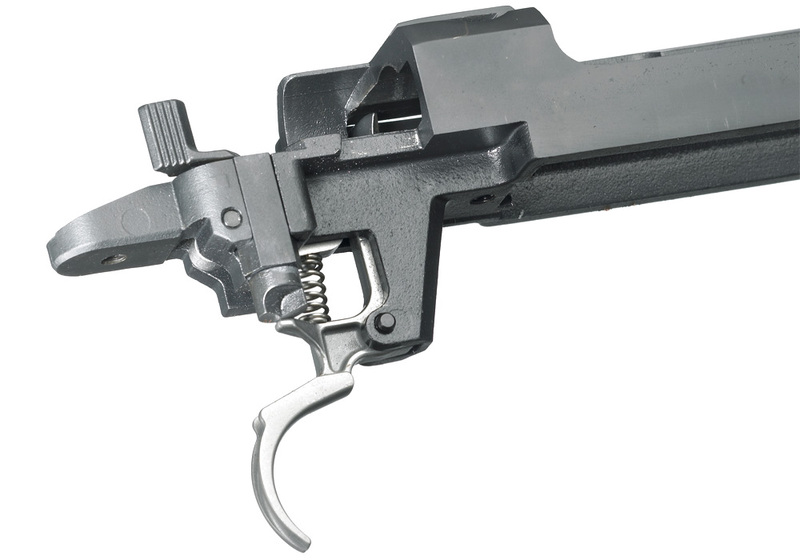 Shallow "express-style" windage-adjustable V-notch rear sight and large white bead front sight for instant target acquisition. 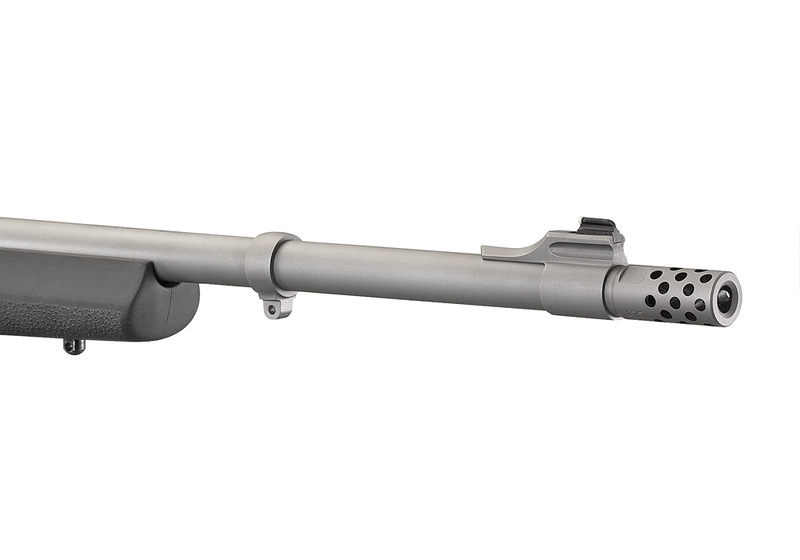 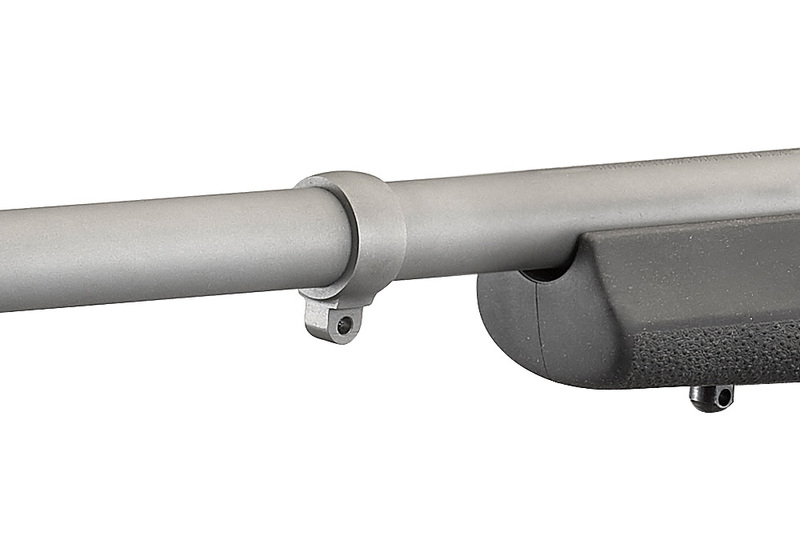 Also includes: barrel band mounted swivel stud; optional forend swivel stud. 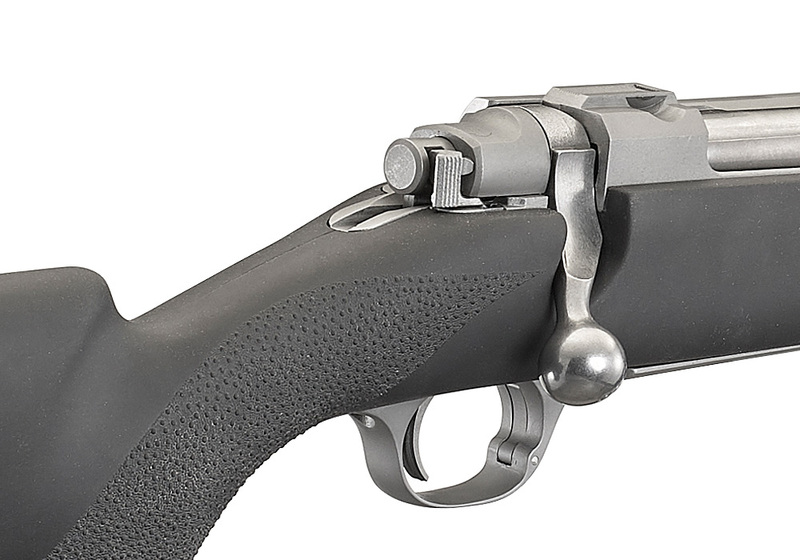 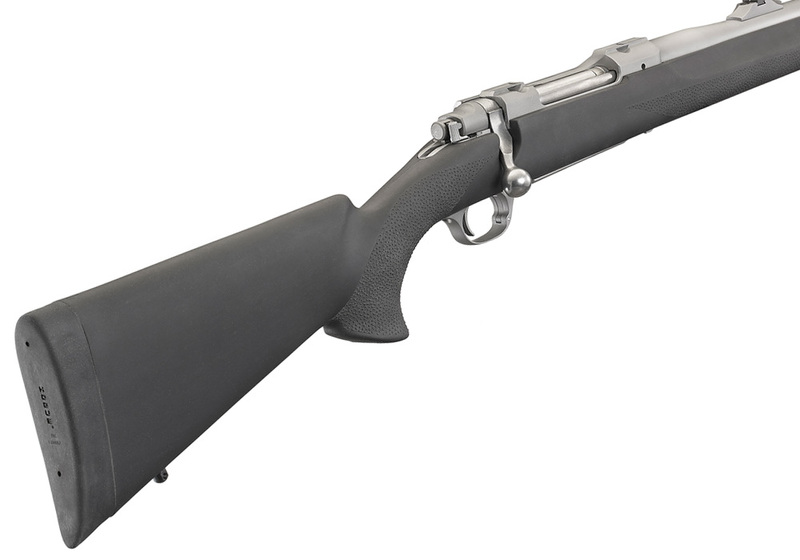 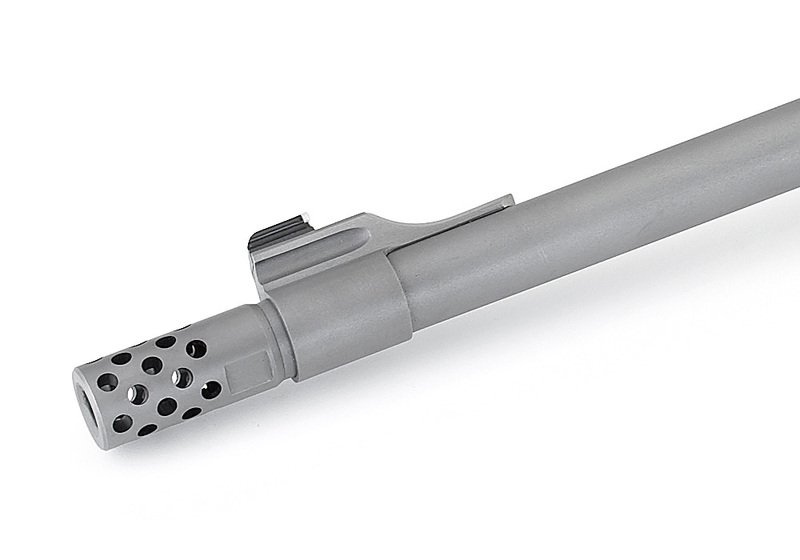 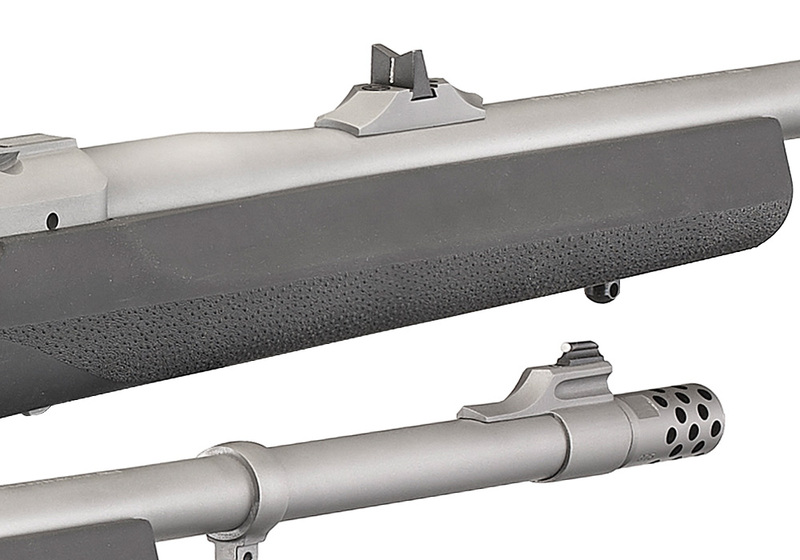 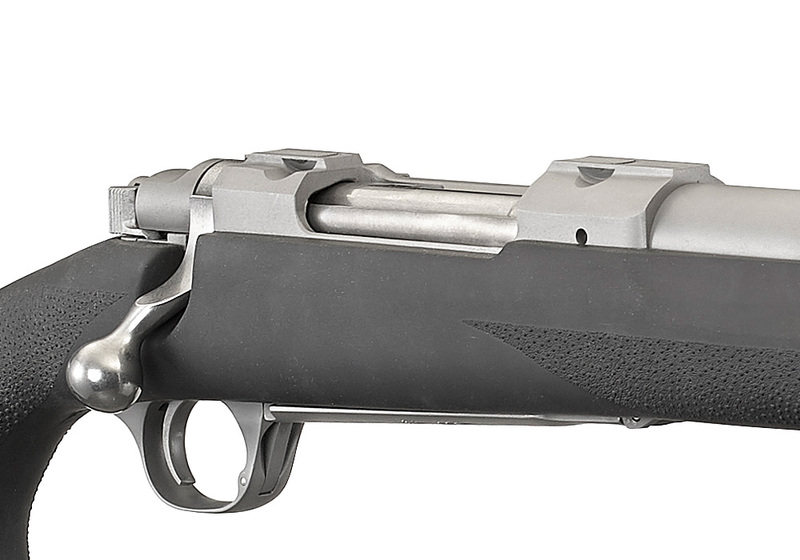 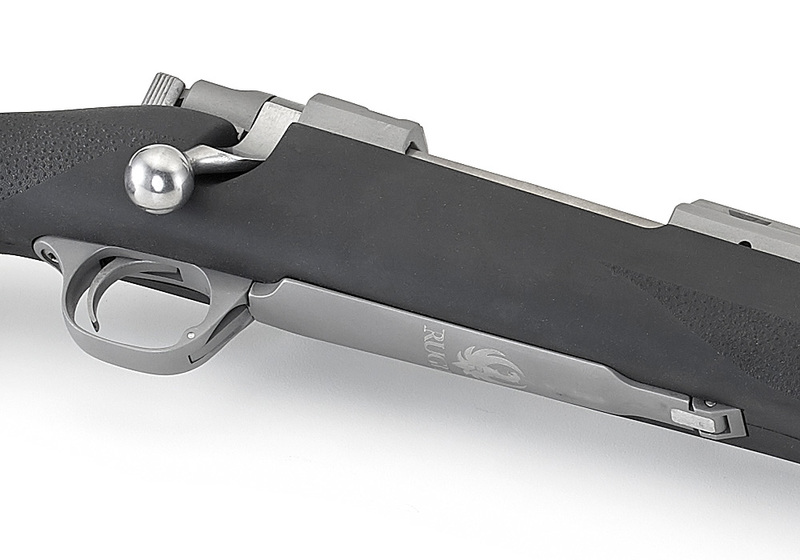 Features the Ruger® Muzzle Brake System with Removable, Radial-Port Muzzle Brake.